There are a range of cannabis edibles coming on board now that marijuana legalization is taking place across the USA. It is a huge market that is only going to get bigger. However, there is no need to find yourself at the mercy of expensive restaurant edibles. There are plenty of online marijuana recipes that cannabis lovers have been using for years. Some of the more popular items include pot brownies, weed fire crackers and cannabis cookies. 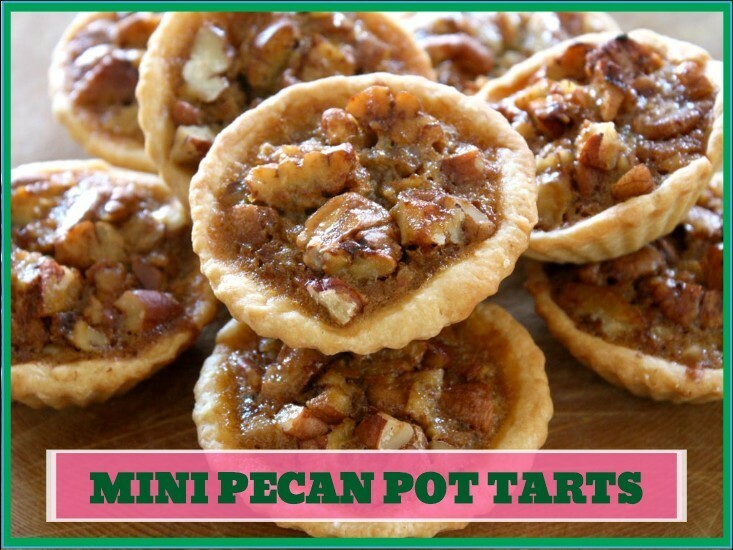 Another all-time favorite are mini pecan pot tarts. Like many marijuana edibles, the recipe for making this food is a lot less complex than you may think. It is usually just the one extra step of decarboxylating your marijuana and its cooking as usual. But this recipe has been simplified even further, as instead of using your own marijuana you can simply use cannabis infused butter which is available from many online stores. Blend the butter and cream cheese in a blender (alternatively by hand). Slowly add flour and powdered sugar to the mix. Add 1/8 teaspoon of salt to the dough and work it in your hands to form a smooth dough ball. Dust some flour over the counter and use a rolling pin to roll the dough into a flat circle. Cut the dough into 24 squares (assuming your muffin pan has 24 slots). Take each square and work into a tight ball and press it into the muffin cups. Refrigerate the tray. Mix the chocolate chips, egg, melted cannabutter, vanilla, brown chocolate and 1/8 salt into a bowl until well combined. Put half of the pecan nuts onto the dough in the muffin cups, then add the bowl mixture, and then sprinkle the other half of the pecan nuts on top. Bake at 325º for roughly half an hour. Allow the pecan pot tarts to cool for 5 minutes before removing them from the muffin pan. Allow to cool for another 10 minutes before eating. They are quite heavy, and this will easily feed 4 or 5 people! No need to overdo it unless you want to get really high.